U.S. Sen. Bob Menendez's corruption trial is likely to be delayed, possibly for several months. Lawyers for the New Jersey Democrat and co-defendant Salomon Melgen filed a motion Monday to vacate the Oct. 13 trial date set last spring by U.S. District Judge William Walls. Prosecutors have indicated they won't oppose the motion, attorneys for Menendez wrote in the filing. 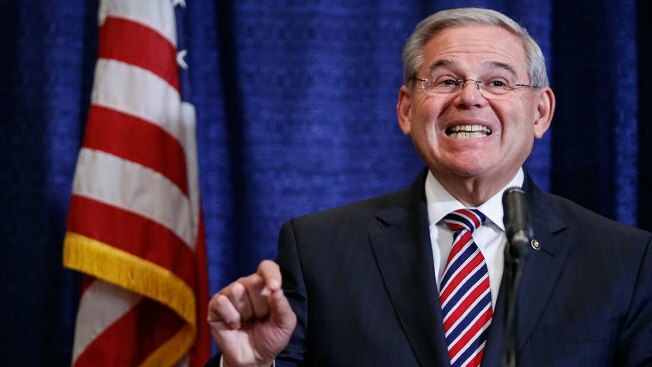 The Justice Department filed motions Monday calling bribery charges against Senator Robert Menendez "clear and unmistakable." Jonathan Dienst reports. Walls would have to approve pushing back a trial date; the judge already has rejected an attempt by Menendez's attorneys to have the trial moved from Newark to Washington, D.C., and has been adamant about wanting to stick to the October trial date. 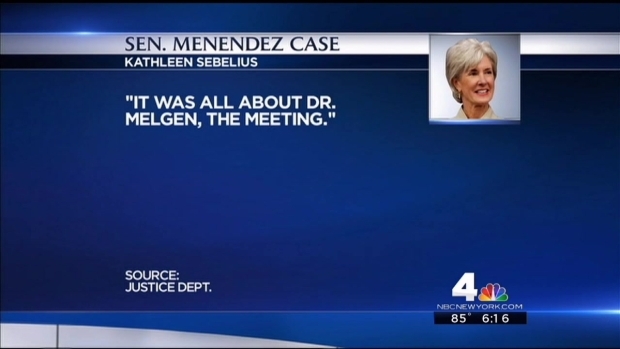 Menendez and Melgen have filed more than a dozen motions to dismiss the 22-count indictment, which accuses Melgen, a Florida eye doctor, of plying Menendez with gifts and cash in exchange for political influence. Both men have pleaded not guilty. Monday's filing noted that several of the motions, specifically those that invoke the Constitution's "speech or debate" clause that protects members of Congress from criminal prosecution for performing legislative duties, could be appealed immediately by the losing side. "The outcome of these various motions will profoundly affect the admissibility of key, and potentially exculpatory, evidence at trial for both Defendants," Menendez's attorneys wrote. "Regardless of how the Court decides these motions, one side or the other (or both sides) will likely exercise their immediate right of interlocutory appeal, resulting in a stay of this case for several months." Both sides are scheduled to be in court in Newark on Thursday to argue the motions to dismiss.